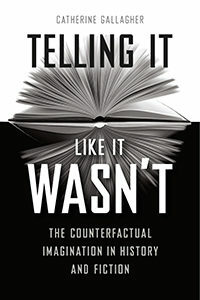 The topic of counterfactual histories has engaged Catherine Gallagher for some time. In addition to the essays in this new book, her “When Did the Confederate States of America Free the Slaves?” was published in the special forum Counterfactual Realities in Representations 98, and “The Formalism of Military History” appeared in our 25th anniversary special issue On Form. Catherine Gallagher is professor emerita of English at the University of California, Berkeley and a founding member of the Representations editorial board. 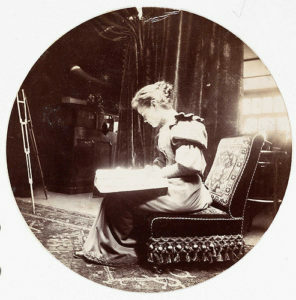 She is the author of many books, including The Body Economic: Life, Death, and Sensation in Political Economy and the Victorian Novel. The next day the truth was revealed. Confederate General John Bell Hood, leading the Confederate forces defending Atlanta, had found his main supply line cut off and had ordered that his own munitions train be blown up so that it would not fall into Union hands. 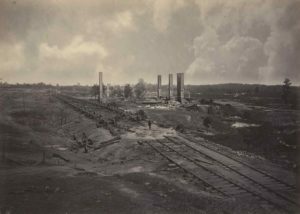 In a massive self-destruction that helped cover their retreat, the Confederates torched five locomotives and eighty-one railroad cars full of their own ammunition. This was the sound that Sherman and his men heard. It was the night of September 1, 1864. Within days, Sherman’s official campaign photographer George Barnard was at the scene of the explosions. Accompanying Sherman and his men on their destructive march from Nashville to Charleston, Barnard would ultimately assemble sixty-one of his large wet-collodion plates into a deluxe publication, Photographic Views of Sherman’s Campaign, published in New York in 1866. Destruction of Hood’s Ordnance Train is plate 44 (fig. 1). At the center of the photograph stands a lone man (fig. 2). We cannot tell who he is—the title does not identify him. Likely he is a civilian, a figure exempted from military ritual and allowed a place of solitude. Back to us, clad in dark clothes, he is a man of shaken contour, either slightly aquiver in the breeze or impatient with having to stand still during the exposure, or both. His feet make a wispy fishtail pattern. 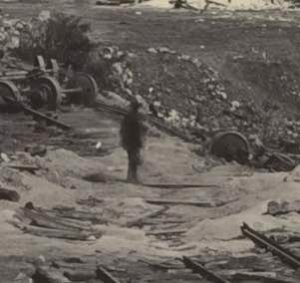 One imagines him as an associate of the photographer who has walked from Barnard’s position, down the trash-strewn hilly foreground at lower left, further down the gulley at the foot of the hill, and up onto the rail bed, where he could respond to the photographer’s commands about where to stand and for how long. He is within hailing distance. The man stands within a circle of soot. Although the circle may not have been the epicenter of the explosions, the missing track suggests that the nature of the fire here was different than the one further in the distance. So do the sideways-flung rail carriage wheels to the left of the soot. Further back, the wheels still sit on the rails, implying that there the blaze consumed the wooden cars in steady flame. But nearer to our vantage, in the circle of ash where the lone man stands, a huge detonation likely blew things sideways and burned extra hot. Barnard’s photograph shows a flat volcano. The man is at the crater, at ground zero. Standing there, the man seems to verify what happened. Like a journalist, he is on the spot, the embers barely cooled. Following the uncertainty of those cataclysmic sounds—the booms that awakened and disturbed Sherman and his men—the lone man confirms the truth of Hood’s defeat. Standing on the ash imprints the reportorial truth of the scene as much as the light hitting the photographic plate. The weightiness of the shadowed man, even if he flutters unsteadily, surpasses the conjecture of an artist’s drawing of a few weeks later that shows the exploding ammunition train. Unlike the fabulist with his pencil, the photographer and his associate occupy the actual scene, letting it be stamped on them, a predicate of there-ness and truthfulness. But the solitary man goes beyond the news cycle. Four prominent chimneys repeat his upright form, multiplying his solitude and extending it to the heavens. He stands before these chimneys like a shepherd before the columns of a ruined Roman temple in the romantic paintings that Barnard admired. The Old South, the photograph says, is a fallen empire, a ruined civilization. But the chimneys also lift the man into the skies, as if he were part of the black smoke that once emanated from this building, an iron mill destroyed in the explosions. Organizing his photograph not just so that the lone man would be at the center, but so that the chimneys would rise into the clouds, Barnard aligns the man’s contemplation not just with the events of the day but with an eternal churn of time. That Barnard “combination printed” the clouds from another negative—his photograph would otherwise show the sky only as a blank gray—creates the image’s mysteriously otherworldly sky and the lone contemplator’s relation to it. The windswept and light-stained clouds come not only from another negative but seemingly from another world, as if a passing planet had allowed Barnard to borrow its atmosphere. They rhyme with the flutter of the man’s black coat and trousers, the shifting of his knees. The sky’s main echo on the ground is the soot on which he stands, a flattened cloud of cinders that resembles the heavens’ light gray. The lone man courses with a rhythm of sun and cloud, the full flow of romantic history—empires rising and falling but also some otherworldly time, some timeless time—that the historian internalizes within his own small body. Standing there, the man aligns with not just flow but frozenness. The diagonal of the tracks implies far-off movement, but no trains will run on them for some time. Where the blast was, where he is, time has stopped. The historian pauses at the location where the momentum of events ceases. There the motionless wheel-carriages suggest the arrested force of his own observations. The massive mill wheel between the chimneys has likewise run into the ground. Aligned to these signs, the historian likewise freezes the action of the day—like the photographer, he keeps the world from rolling. Their mutual hope is that in stillness the significance of an event will become cryptically clear. The earth itself still turns, the clouds still scud across the sky, but the historian feels no contradiction. In Barnard’s romantic view, the historian feels the fixation of a moment in time and the relation of that moment to eternity. The lone man’s shadow looks like an oil stain on the soot, but it also charts the path of the sun. It is proper that all this destruction leaves a lasting mark on the historian. He does not glide by the scene of violence, even if his presence there is of short duration. Rather, like the photographer’s plate, he allows the scene to imprint itself on him. To his dying day he will retain the record of what he saw. Even if he forgets his place, losing the memory of having stood on the tracks, the place will not forget him. It will be in his consciousness like a possession buried in the earth, like the belongings that the citizens of Atlanta interred for safekeeping as they departed the city. Even if he forgets that it was him in the photograph, remembering only that he actually stood beneath a pastel-blue sky on that spot or, conversely, if his presence in the photograph is all that he recalls, the pastel-blue sky having been forgotten, the confusion of experiences will not dissipate his sense of having been there. Transfer the man to a heady scene of Broadway in New York, bright on a summer’s day, with everyone else happy and prancing beneath parasols and top hats, and he would still walk in the cloud of his shaken contours. Damage, to judge by the photograph, is the historian’s proper element. Barnard’s contemporary J. T. Trowbridge wrote of looking out a railway car window in Atlanta on a rainy morning just after the war, seeing the “windrows of bent railroad iron by the track; piles of brick; a small mountain of old bones from the battle-fields, foul and wet with the drizzle; a heavy coffin-box, marked ‘glass,’ on the platform, with mud and litter all around.” Trowbridge let the sights impress him, then wrote liquid descriptions that impress the reader. In the same way, Barnard’s sole observer becomes a photographic plate, allowing the grit of the sand and clay and pebbly wasteland to imprint itself on him until he, too, sensitively registers the scene. The pathological stillness of his contemplation registers the aftershocks of violence as only a slight fluctuation in his trembling clothes. Alone, he keeps the landscape from breaking apart. It is a depressing scene, even if it shows the demise of the Confederacy. The photograph has all the hallmarks of a victory parade except the people and the motion and the joy. What, if anything, redeems the emptiness? My own answer is imagination. Adrift in the wasted world, either the historian traces the wreckage, speaking in a voice of dejection and outrage, or the historian can invent from those same woebegone feelings. In the latter case, something new emerges from the destruction and violence. That something new is not an asinine version of progress—of forward-looking and backward-forgetting. It is always committed to the recollection that allows it to come into being. Instead of flying away, the historian’s invention owes allegiance to the particular topography in which it finds itself. Down every gulley, across each desolate rock pile and sandpit, the imagination must trace its way, divagating the broken tracks, stumbling down the shallow hillsides, taking an exact impression at each point of what is not itself. The imagination works like lava, flowing across the terrain, making a mold of what it streams over. The imagination clamps to memory like Barnard’s sky to the earth. The imagination depicts unbelievable things—it is imported from other scenes, “combination printed” into a first picture in which it does not belong. Yet somehow it does belong. And it makes us look again, and look longer, at a photograph we might barely have noticed otherwise. How is something that is not there still present in a photograph? What is the importance of seeing a photograph in this way? Looking at George Barnard’s Civil War photograph Destruction of Hood’s Ordnance Train, this essay meditates on the operations of imagination in historical images. ALEXANDER NEMEROV gave the sixty-sixth annual Andrew W. Mellon Lectures in the Fine Arts at the National Gallery of Art this past spring. 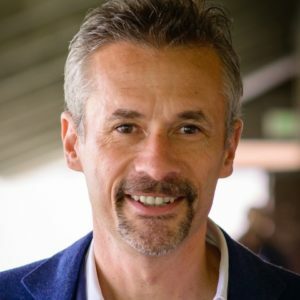 His most recent book, Soulmaker: The Times of Lewis Hine, published in 2016, was short-listed for the 2017 Marfield Prize/National Award for Arts Writing. The desire to overcome boundaries between disciplines of knowledge and to integrate fields of study is nothing new. Specialization has always had its discontents, and programs for interdisciplinary cooperation or the creation of new disciplines out of the synthesis of old ones are a perennial feature of academic life. In recent years, however, the idea of bringing together fields of study has made a turn to an argument against the very existence of disciplines and departments in the first place. Faced with the task of reforming academic institutions and the work that goes on inside them, many advocates for interdisciplinary approaches have come to maintain that a carved-up institution gets in the way of understanding and fails to serve students. I will argue in this essay that this strong version of interdisciplinarity rests on a mistake: namely, that the separate disciplines have a common object to which they can be reduced or oriented. I will further argue that this mistake extends even to the weaker forms of interdisciplinarity with which we have been long familiar and which have independently compelling virtues. Clarifying this mistake would begin with the recognition that a pluralistic array of disciplines matches up with a pluralistic vision of the world: endocrine cells for the biologists, tectonic plates for the geologists, librettos for the musicologists, and so on. Fixing it would begin with the recognition that the best way to be interdisciplinary is to inhabit one’s discipline fully. The present-day quarrel with disciplines has several varieties: from ostensibly scientific reductionism, to the management theory popular in some corporations, to a historicism that overlaps with both. In what follows, I’ll describe these movements one at a time, point to their overlapping premises, and provide some account of what I believe to be their origins and goals. What I have to say would apply, in principle, to the full range of study from art history to zoology. And yet no accounting for such things occurs in the abstract. There is a reason literary scholars so often feel that calls for them to be interdisciplinary are attacks on what they do. Arguments that undercut the rationale for separate disciplines of study apply unevenly to those with depleted capital. Departments of English are far more often called to explain the reason for their existence and far more often encouraged to coordinate their work with what’s going on elsewhere in the academy or the world than departments of electrical engineering. That this is so is hardly surprising, but is worth some thought. Let me begin with some propositions. A discipline is an academic unit. It is neither a natural kind nor an arbitrary relic of the history of higher learning. Rather, any given discipline is a body of skills, methods, and norms able to sustain internal discussions and perform explanations in a way subject to its own consensus acts of judgment. The world does not have a single order that is reducible to biology or physics. Some things are known only at their own level of explanation. These things are equally real. I will call this a principle of ontological pluralism. Following from the first and second propositions, disciplines explain the part of the world to which they are directed and with respect to which they are organized. I will call this a principle of explanatory pluralism. Following from the third proposition, no one discipline should be reducible to another because such reduction would eliminate the method and norms adequate to any particular level of explanation. This essay examines various arguments against the existence of disciplines, from scientific reductionism to the new corporate university to historicism, and proposes in their place a defense of disciplinary life as an epistemic and ethical ideal. JONATHAN KRAMNICK is Maynard Mack Professor of English at Yale University. 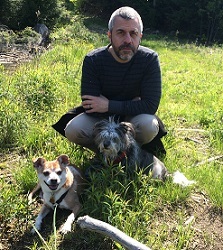 His new book, Paper Minds: Literature and the Ecology of Consciousness, will be published this year by the University of Chicago Press . No philosopher better epitomizes circular reasoning, nor more fittingly embodies the logical fallacy of circulus in probando, than G. W. F. Hegel, because he loves talking about circles and his points often go in circles. This essay isn’t about Hegel’s endearing oral delivery, about which plenty has been said since the man himself was alive. Rather, this is an attempt to think philosophically about circles and rethink so-called Hegelian circularity. The whole history of the “theory of knowledge” in Western philosophy from the famous “Cartesian circle” to the circle of the Hegelian or Husserlian teleology of Reason, shows us that this “problem of knowledge” is a closed space, i.e., a vicious circle (the vicious circle of the mirror relation of ideological recognition). 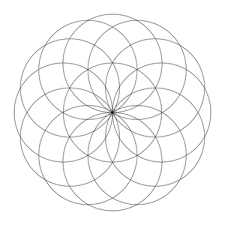 That’s a lot of circles, a lot of symbols. What do they mean? What do they really “show”? These symbolic circles mean too much and not enough: call something a circle and the point about it is somehow immediately clear, but wait, how is something that’s not actually a circle like a circle or identical to a circle? Such symbolic circles mean what you want them to mean, which is exactly why all symbols are hopelessly bound up with the proverbial problem of meaning—tokens of the human need to line things up, to know where things go, ever since we first took soil for filth and polluted it accordingly. All the more reason, then, to think dialectically about our problem in an essay that both defends and extends Hegel’s thinking on this question of circularity and figures. Our problem is this: Hegel rates figures below concepts but he needn’t always do so. In his mind, figures are just a bunch of numbers and lines annoyingly uncommitted to either Thought or Being. He also dislikes figures because they aren’t language, or are a lesser language. Hegel has his reasons for these positions. But those reasons may not be good enough, judging by the way he seems to equivocate about figures. Sometimes figures are so perfect as to figurate the very significance of his philosophy (and that’s no small feat!). And sometimes they are pretenders to proper conceptuality, conceptual thinking by other means. Hegel is all over the place on this question, as we’ll soon see. But if one applies even a modicum of mathematical wit to the figures Hegel does offer us—and most of them are circles, with triangles as a close runner-up—then we discover some rather interesting spaces in which dialectics might wander. In this essay Andrew Cole suggests that Hegel’s philosophy of the concept is also a philosophy of the figure, a demonstration of conceptuality by other means. Neither images nor symbols, Hegel’s figures—primarily, circles—initiate and image the movement of thought. 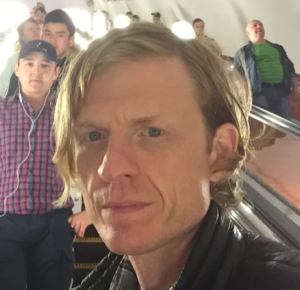 ANDREW COLE is Director of the Gauss Seminars in Criticism and Professor of English at Princeton University. Forthcoming works include Foundations of the Dialectic and Unmodernism. We all know that we have feelings when we encounter works of art. We laugh, we cry. We feel pity and fear. We like and we dislike. We shudder and shiver and tingle. We are amused, delighted, thrilled, teary, bored, relaxed, turned on, horrified, enraged, surprised, depressed, embarrassed, shocked, and fascinated. We know that these “aesthetic” feelings constitute one of the primary values of art as such, and that the problem of how to analyze and evaluate these feelings is one of the basic problems of aesthetic theory, at least since Plato worried about the way poets affected their audiences in The Republic. Many of our fundamental aesthetic categories—tragedy and comedy, the beautiful and the sublime—have become fundamental because they offer ways to think about how art affects its audiences. Beginning with a consideration of the distinct places of affect in aesthetic theory and in critical reading practices, this essay makes a case for mood as a critical concept that helps us to read for the historicity and potentially political effects of aesthetic practices. Walter Benn Michaels has responded to the essay in his January 1, 2018, post at nonsite.org: Grimstad on Experience, Flatley on Affect. 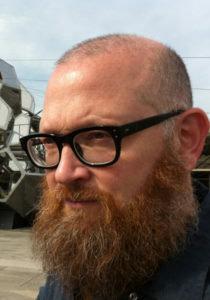 JONATHAN FLATLEY is Professor in the English Department at Wayne State University, where he was the editor of Criticism: A Quarterly for Literature and the Arts from 2007 to 2012. He is the author of Affective Mapping: Melancholia and the Politics of Modernism (Harvard, 2008) and Like Andy Warhol (University of Chicago, Fall 2017).